It is often debated whether or not the Romans marched along what is now known as Roman Road, as it runs pretty much parallel to the Roman road which connected London to Colchester. Roman remains were uncovered in a dig back in 1845 on the current plot of Armagh Road, and further remains have been found since giving weight to the name. As with a lot of East London, Roman Road is a changing face and there is lots happening not only here, but within the whole London Borough of Tower Hamlets. There is lots of history attached to Roman Road. One notable resident was Sylvia Pankhurst, a campaigner for the Suffragette movement. She lived at 400 Old Ford Road which was also the headquarters of the East London Federation of Suffragettes, making Roman Road a hub of Suffragette activity. 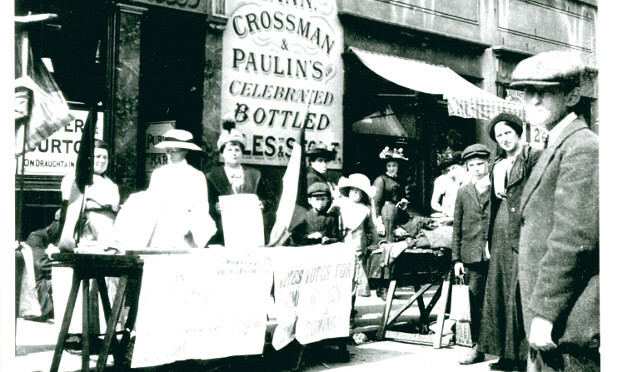 Women’s Dreadnought, the Suffragette newspaper was published from 321 Roman Road, and was also printed on Roman Road by Arbers. This newspaper was then sold on a stall at Roman Road market, alongside toys and second hand goods with the proceeds used to fund the movement. Violent demonstrations broke out on Roman Road occasionally, with Sylvia Pankhurst once going in disguise to a meeting at the Bow Baths after being banned from appearing at them. 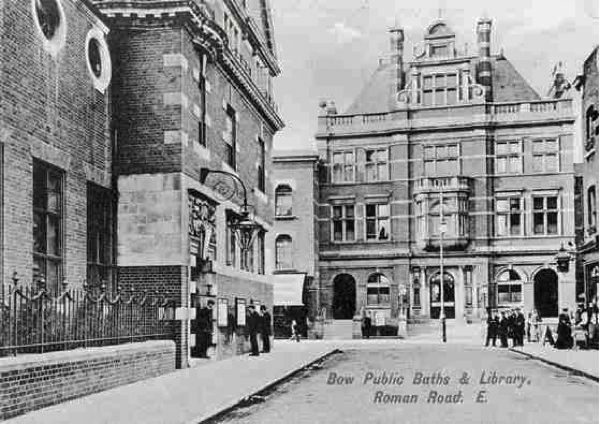 Some local landmarks include the Bow Baths, which were opened on Roman Road in 1892. The aim was to bring relief to the vast number of local residents who relied on tin baths, the Victoria Park Lake or canal water to bath or swim. Sadly the Bow Baths were terribly damaged by WW2 bombs and never reopened. The Bow Library began being built in 1900, funded by newspaper owner and philanthropist John Passmore Edwards who gifted £4000 towards the construction of the library. Despite the basement being able to house 10,000 books and the lending library a further 12,000 as well as combined space for 89 readers, the library soon proved too small and an extension was planned. Work began in 1939, but the war intervened and it wasn’t finished and opened until 1950. A second extension was built in Stafford Road in 1962, and even this didn’t meet modern needs meaning a brand new library was built in William Place in 1998. On the north-eastern corner of Roman Road and St Stephen’s Road in Old Ford lies St Paul’s Church. It is dated at 1878 and is Listed Ecclesiastical Grade C. It is built next to the former site of St Stephen’s Church, which was destroyed in WW2. The church received a £3million lottery grant to renovate the building and add a café, community gym, exhibition and meeting space. This was completed in 2003. Another church, St Barnabas lies on the corner of Roman Road and Grove Road at the most eastern point of Bethnal Green. 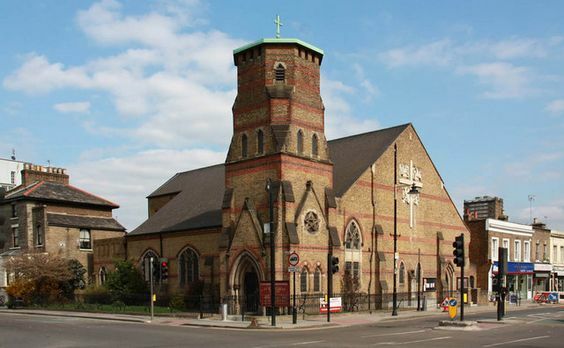 It was built by Baptists as a chapel in 1865, who then decided it was too grand and built Victoria Park Baptist Church just behind in Grove Road. St Barnabas was sold to the CofE. It has a memorial next to the entrance dedicated to men who lost their lives in WW1.